Need Help With That “Chicken Skin” Look On Your Arms? This skin condition called Keratosis pilaris, is characterized by numerous small, rough, red, or tan bumps primarily around hair follicles on the upper arms, legs, and buttocks. Keratosis pilaris creates a “goose bumps,” “gooseflesh,” or “chicken skin” appearance. 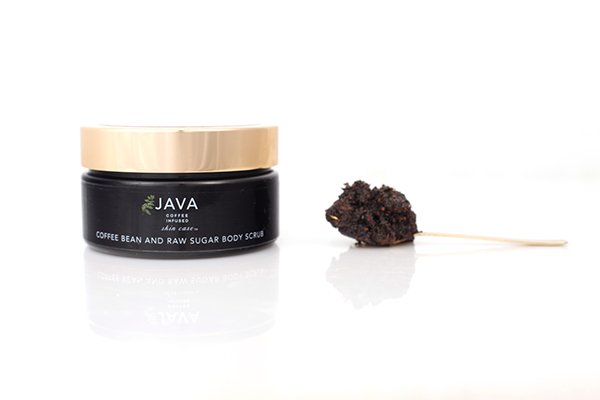 Our friends and family tell us daily that our JAVA Coffee Bean and Raw Sugar Scrub exfoliates, smooths and makes the goose bumps dissappear. Why you ask?…because of our signature infusion of green coffee and argan oil loaded with antioxidants that take our scrub to the next level.